While online gambling may be a few years off in states such as New York, one entrepreneur believes that his already popular site, Betbomb.com, could become huge when the law finally changes. 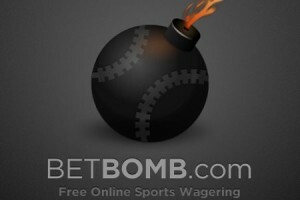 The founder of Betbomb, a social sports betting site, believes the site has the potential to become huge if online gambling were to become legal. Betbomb, launched by Patrick Gray, is a social sports betting site and according to Gray it is legal in 32 states including New York. The site allows players to place fake bets on real sports events using odds from real Las Vegas bookmakers. Betting is free and there is the chance for players who collect the most points in tournament like competitions to win prizes such as TVs, golf clubs and cash. The site already has 10,000 registered users, and offers premium features for paying users such as parlays and betting tips. According to Gray a number of casinos and gaming companies have already contacted him about buying the platform. However, he wishes to hold on to the site and help it grow before selling it on when he has a minimum of 1 million users. Alternatively, he believes that if New York and other states legalise online gambling, then he can start taking real money bets and grow the business even further.